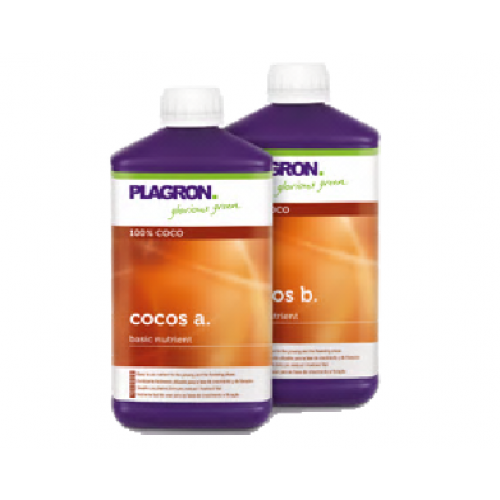 Plagron Coco A & B is a highly concentrated bio-based mineral nutrition, to use in the growth and flowering stage of the plant. These two components fertilizer is easy to use and includes a balanced diet for optimal results. Composition Cocos A: water, calcium nitrate, magnesium nitrate, potassium nitrate. NPK fertilizer (4-0-1). 3.9% Total nitrogen (N) of which 3.9% nitrate nitrogen (NO 3 ), 1% water soluble potassium oxide (K 2 O), 4.5% Calcium (Ca). Composition Cocos B: Water, magnesium, magnesium nitrate, mono-potassium phosphate, phosphoric acid. NPK fertilizer (1-4-2). 1% Total nitrogen (N) with 1% nitrate nitrogen (NO 3 ), 4.1% water-soluble phosphorus pentoxide (P 2 O 5 ), 2.4% water soluble potassium oxide (K 2 O). Power Roots is responsible for the development of strong plants. It's fast, economical and is almost..
Plagron Pure ZymPlagron Pure Zym, formerly Enzymes, is a soil conditioner based on natural enzymes. ..
characteristicsIncreases yieldPrevents diseases and plant stressSuitable for all watering systems..